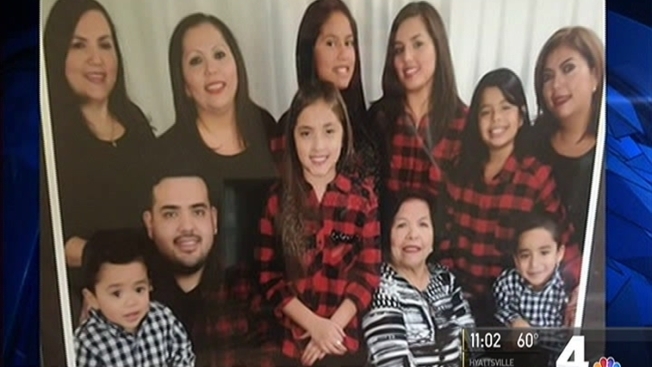 "It looks like the car struck her, turned around and then struck her again"
A man who ran over 75-year-old Maria Ascencio on Route 50 could face more charges. News4's Meagan Fitzgerald talked to Ascenio's family. A man accused of intentionally running over and killing a 75-year-old woman in Northern Virginia was indicted for murder, police said Tuesday. Maria Ascencio, of Fairfax, died April 14 after she was hit at Route 50 and Rugby Road. Police said the driver hit her, turned around and ran over her a second time, police said. Ascencio's devasted family said she was a mother, grandmother, great-grandmother and "beautiful soul." Kenan M. Ozcan, 31, of Fairfax, was initially arrested and charged with felony hit-and-run and robbery. He was arrested after police asked the public to look for his car. Ascencio was crossing Rugby Road, heading east on Route 50, when a 2016 Dodge Dart traveling south on Route 50 hit her, police said the investigation determined. 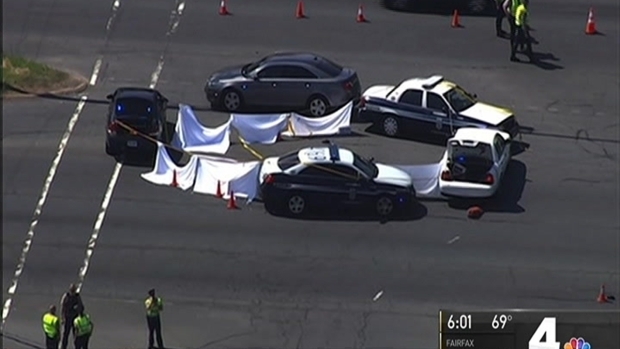 "It looks like the car struck her, turned around and then struck her again," Fairfax County police spokeswoman Tawny Wright said. A witness said she saw the terrifying crash. "I saw a woman just lying on Route 50, in the middle of the intersection, just lying down. Immediately, just a few seconds after, a car just came and ran over her," the woman said. The witness, who asked not to be named, said people at the intersection stopped their cars, called 911 and chased after the suspect. "Everybody was just screaming," she said. "I saw a lady across the street, just crying on the phone." Police in Fairfax County arrested a man who they say intentionally hit and killed a woman he did not know on Fairfax County Parkway. The woman was 75-years-old. Northern Virginia Bureau reporter David Culver reports. At least one person followed the driver but apparently lost him. Police responded about 10:15 a.m. Ascencio was pronounced dead at the scene. Her family said she had taken a walk. When she failed to return, they called her cellphone. Police picked up. "I say no, please no. Please not my mother," Ascencio's daughter told News4. The Fairfax County Police Department said Ascencio and Ozcan are believed to have been strangers. "It does not appear the victim and suspect were known to each other," police said in a statement. Ozcan was arrested after police said he assaulted a woman in a shopping center about a mile away less than three hours after he allegedly hit Ascencio. A 43-year-old woman saw a man "acting strangely" in a shopping center on the 3900 block of Fair Ridge Drive. She took a photo of him, and he became agitated. He assaulted her, robbed her and then went into a business. The woman called police about 12:45 p.m. Officers found Ozcan inside and saw the Dodge Dart in the parking lot with damage to the front end. Authorities previously said they were seeking a man driving a blue or black Mercedes or Chevrolet sedan with blue and yellow license plates and damage to the front end. The police department thanked everyone who called in with tips. The witness who spoke with News4 said she was still trying to process the horror. "I don't know how someone can just do something like this and run away," she said. Ascencio's family said they are still processing the shock of her death, but they know she is at peace. "She was sure about her salvation, so I know that she's in a better place now," Ascenio's daughter said.